Verify the total cost of the procedure. If prices are considerably lower than others, ask why.Review the details. Consultation and administrative charges, convalescent supplies, or special considerations (such as meals) should be clearly discussed to avoid confusion later. You’ll also want to be certain that lower cost doesn’t mean skimping on the care you need or expect. Ask who specifically will be performing your surgery.Many patients assume that the physician handling their preliminary interview will automatically be performing the procedure itself–which many times, is not the case. 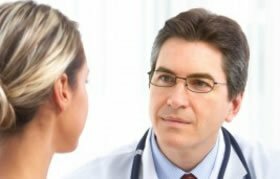 Insist on knowing who’ll be performing your procedure and on being allowed to speak directly with them prior to your surgery. Among other issues, you’ll want to be certain you and your surgeon agree on a specific goal. What procedures are your doctor board-certified in?The American Board of Plastic Surgery is the only cosmetic surgery board recognized by the American Board of Medical Specialties. Check certificationmatters.org to see if your doctor is board-certified—and in what procedures. Be aware that some laser liposuction companies target non- surgeons to buy their machines–so owning the equipment doesn’t necessarily mean they’re qualified to use it. How many times has your doctor performed the specific type of liposuction you’re considering?Even a board-certified plastic surgeon is not automatically experienced in all procedures. If, for example, your doctor has been specializing in face lifts and has now opted to perform breast reduction, you’ll want to know how many such procedures he or she has actually performed. And don’t hesitate to ask if your doctor has slides or video of some of their recent surgeries, and what percentage of their patients have had complications? Has your doctor ever been disciplined by authorities?If your doctor is not forthcoming about his or her record (or if you just want to be thorough), the status of their license can be found through state licensing boards. Go to the Federation of State Medical Boards’ website @ fsmb.org to find the state and doctor you’re considering. Where will your surgery take place? Does your doctor have hospital privileges?While this may seem insignificant (and may even affect the total cost), even if the surgeon is doing the procedure in his or her office, having hospital privileges means the doctor can treat you there should complications arise. Is the facility where the surgery is taking place accredited, and does it have a state-issued license?Be certain the surgical center where your procedure will take place has accreditation from one of the following: the American Association for Accreditation of Ambulatory Surgery Facilities (AAAASF), the Accreditation Association for Ambulatory Health Care (AAAHC), or the Joint Commission on Accreditation of Healthcare Organizations (JCAHO). How long will the entire procedure take–including recuperation?In the event that you’re applying for leave of absence from your job or are arranging convalescent homecare, you’ll want to know how much total time is involved. What side-effects can you expect? How much pain and soreness is normal? What medications will be prescribed? What are the restraints on walking, bathing, etc.Do not leave your pre-surgery consultation without knowing exactly what to expect after your procedure. Most liposuction centers have post-op answer sheets designed to deal with patients’ questions. Make sure you have all your concerns addressed before your surgery so that you can make all necessary preparation.